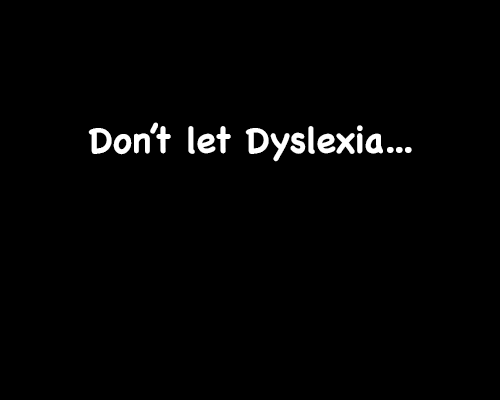 Dyslexia affects so many people, each affected in different ways. It affects skills that involve accuracy and fluency when reading and spelling words. Although it creates difficulty in some areas of learning I wouldn’t call it a disability as having dyslexia hasn’t hindered my learning, it has changed the way I learning and how I am taught. Being dyslexic and having the right support means that I have adapted my way of learning. 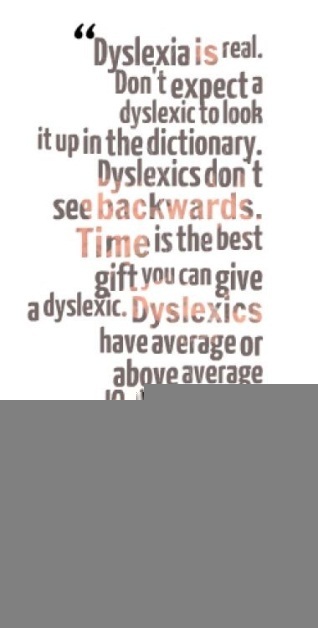 I am glad to be dyslexic, it makes me who I am and makes me more creative due to the side of the brain it affects. I was first diagnosed in year 3, from then I had so much support from my school and mum. I was taught many techniques of learning to suite me. Each person is an individual and learns differently, so techniques that work for me won’t work for everyone. Spelling and reading out loud has always been most difficult from me. If I was ever asked to read out loud in class I used to get really nervous and that just made it worse. 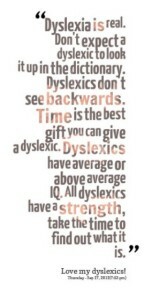 If you are dyslexic or get nervous when you have to read out loud then just take a deep breath and take it word by word. Sound them out in your head or out loud and it will get easier each time you do it and as you recognise words. If I got a word wrong or didn’t know what it was I use to get so embarrassed but now I don’t as I know it doesn’t matter as you are always learning. Practicing reading out loud on your own or read to someone you feel comfortable with so when you don’t know a word they can help you. Spelling was and is a huge difficulty for me; the English language is difficult for anyone to master. What helped me with spelling was breaking down words by making memorable sayings to spell them. For example ‘big elephants can always understand small elephants’ spells ‘because’. Although I have had my struggles with my dyslexia it made me more determined to succeed and now I am at university studying Public Relations. Previous : Get involved this spring!